Chile's state-owned mining giant, Codelco, is benefiting from a surge in global prices but struggling for political freedom to manage its business for long-term gain. REAPING THE FRUITS OF THREE DECADES OF ECONOMIC REFORM AND A global commodities boom, Chile is enjoying unprecedented prosperity. The economy has expanded at an annual average rate of 5.5 percent for the past 20 years. Average incomes have soared to $11,270 on a purchasing-power parity basis, according to the World Bank, which ranks the country just behind Russia, Mexico and Malaysia but comfortably ahead of Bulgaria, Romania and Turkey. The transformation can be seen along the 2,700-mile length of this nation, from the humming factories and rising glass-walled skyscrapers of the capital, Santiago, to the mechanized, export-oriented farms in the fertile south. The aspirations of Chileans, however, are rising even faster than the countrys fortunes, posing a challenge for the government of President Michelle Bachelet. The Socialist leader won election in January 2006 as the countrys first female president by promising a bigger piece of the economic pie to poor and working-class citizens. But Bachelets economic policies have been more pragmatic than populist, fueling discontent among many of her supporters. The government increased spending by 9 percent this year, compared with 6 percent in 2006; more-generous education and health budgets boosted social outlays by 11.2 percent. Yet the largesse hasnt been nearly enough to satisfy critics. Nowhere is the change of sentiment more evident than at Corporación Nacional del Cobre, or Codelco, the state-owned mining company that is the worlds biggest copper producer. In June and July workers protesting for pay increases stoned management vehicles, derailed a train laden with copper ore and staged wildcat strikes that paralyzed El Teniente, the worlds largest underground mine, costing the company some $250 million in lost revenues. Codelco subsequently reached agreements with its workers, but those deals merely raised its costs without quelling the growing labor militancy and political polarization in the country. The increased social tensions have effectively stalled a package of reforms aimed at making Codelco more competitive by running it on commercial grounds rather than as an arm of the state. The most important elements of the package  pushed by the company and, ostensibly, by the government  would remove political appointees from Codelcos board of directors and make the copper giant as transparent as its private sector competitors by requiring it to file regular financial statements. But the government is too distracted coping with flare-ups of popular discontent to put its full weight behind the reform package. It is getting harder and slower to push through the reforms, concedes Karen Poniachik, the minister of Mining. In addition to dwindling support on the left, the conservative opposition in Congress senses the governments vulnerability and plunging popularity and is now unwilling to back reforms at Codelco that it had advocated for years. The political stalemate hasnt yet exacted a toll on Chiles economy because of the unprecedented size of the countrys copper windfall. Soaring demand from Chinas burgeoning factories has sent the price of the metal skyrocketing in recent years. Notwithstanding a roughly 16 percent drop in prices since early October because of fears of a global economic slowdown, copper was trading at $3.1570 a pound on the New York Mercantile Exchange late last month, up 353 percent since the end of 2002. Chiles copper export earnings quadrupled over three years, to $30 billion in 2006. To preserve that bounty, the government  taking a page from the playbooks of other resource-rich developing nations  has established two funds to invest its copper earnings in overseas markets. Those funds held a total of $12.57 billion at the end of September (see box). Yet failure to reform Codelco threatens to erode the countrys single-biggest moneymaker. The companys costs are significantly higher than those of its private sector rivals, and its massive profit transfers to the government could frustrate its attempt to ramp up production in the current bull market. Pretax profits surged 88 percent in 2006 from a year earlier, to $9.2 billion, on a 63 percent rise in revenues, to $17.1 billion. The company turned over $8.3 billion of its profits to the government, an amount that represented 15 percent of all state revenues. Codelcos pretax profits rose to $4.67 billion in the first half of this year, up slightly from $4.625 billion for the same period in 2006. Revenues rose 16 percent, to $7.85 billion. With soaring mineral prices leading to dramatic initiatives among competitors, Codelco seems to be moving at a glacial pace. If BHP Billiton succeeds with its current bid for Rio Tinto, it would create a company with a market value of $350 billion that would displace Codelco as the worlds No. 1 copper producer. (In 2006, BHP Billiton and Rio Tinto had a combined copper output of 2 million metric tons versus 1.75 million tons for Codelco.) And although other mining giants are scouring the globe for new deposits, even in politically risky countries like the Congo and Pakistan, Codelco has confined itself to Chile. The problem is that Codelco has such political and economic importance in Chile that any business decision it makes is placed under great scrutiny  and that leads to very cautious management, says Juan Carlos Guajardo, the executive editor at Centro de Estudios del Cobre, or Cesco, a copper industry think tank based in Santiago. CODELCO IS THE CURIOUS by-product of left-wing radicalism and right-wing dictatorship. In 1971 the Marxist coalition government of President Salvador Allende expropriated the mines of Kennecott Corp. and Anaconda Copper Co. and refused to pay compensation, arguing that the U.S. companies had earned excess profits in Chile since the early 1900s. The move had broad popular support: Nationalization was approved unanimously by Chiles Congress. Two years later the government was overthrown and Allende died in a bloody coup led by General Augusto Pinochet, the army commander who ruled the country with an iron hand for the next 17 years. The government reached compensation agreements with Kennecott and Anaconda but kept the mines under state control and grouped in a new entity, Codelco, which was created in 1976. Pinochet, a staunch advocate of privatization, did not want to risk nationalist ire by returning the mines to foreign ownership. The dictator also viewed Codelco as a lucrative source of income to ensure the loyalty of his troops: Under a 1976 law passed by the regime, 10 percent of the companys annual revenues are earmarked for the military. Private sector competition, however, has forced Codelco to raise its game. The company doesnt suffer from the mismanagement, overstaffing, rising operational costs and diminishing output that have plagued government-owned oil companies such as Mexicos Petróleos Mexicanos and Petróleos de Venezuela. Codelcos newest mines, like Radomiro Tomic in the far desert north of the country, are among the most efficient in the world. But state ownership has constrained Codelcos expansion, which lags that of its domestic rivals. The biggest impediment is a requirement that the company, after covering operational costs, turn over all its profits to the government. To fund new projects, it must negotiate with the Finance and Mining ministers for a share of those profits. Codelco cannot go to the government and say, Look we would like to keep half of our profits this year because we have a lot of good investment opportunities, says John Tilton, a mining economist who teaches at the Colorado School of Mines and the Pontificia Universidad Católica de Chile. Even before giving the government the vast bulk of its profits, Codelco is obliged to fork over a cut of its revenues to the armed forces. Military commanders concede that this bounty has induced lavish spending on new weapons and equipment that exceeds the countrys defense requirements. The militarys budget for 2007 is $5.19 billion, which is partly funded by the $1.7 billion it received from Codelco based on its 2006 revenues. The military budget has jumped more than a third since 2005, when spending amounted to $3.8 billion. There is very broad agreement in Congress and the military that there is absolutely no justification to continue this arrangement, says Codelco CEO Arellano. The government has not yet formally proposed altering the 10 percent arrangement, nor has it been discussed in Congress. But given the political environment, Arellano predicts it will take at least two years to repeal the law. The company has also turned to its biggest market for investment partners. In 2005, Codelco struck an agreement with China Minmetals Corp., a state-owned company, to develop the Gabriela Mistral, or Gaby, mine in Chiles Andes. The $900 million project is expected to produce 150,000 tons of copper a year, and is due to come on stream in the second half of 2008. China Minmetals invested $550 million and will have the right to buy the mines output at market prices. This allowed us to finance Gaby without having to go to the capital markets, says Juan Enrique Morales, Codelcos senior vice president for development. Under the accord Codelco will keep a 51 percent stake in Gaby and auction 49 percent of the mine at an unspecified date. Minmetals will have first option on 24 percent and the opportunity to purchase the remaining 25 percent if it matches the highest third-party bid. The Gaby deal demonstrated the political clout that Codelco gives Chile. It set the stage for the signing in November 2005 of a free-trade agreement between the two countries  Chinas first and only with a Latin American nation  that opens up Chinas market for Chiles fruit, vegetable, fish and forestry exports. We first had to show China, our biggest client, the benefits of a long-term arrangement for access to our copper, says Morales. Even with such innovative financing arrangements, Codelco struggles to find the resources to fund its growth plans. The company has set a goal of raising its copper output to 2.5 million tons a year by 2020  a 43 percent jump over current annual production. Most of this increase will come from mammoth expansions at existing mines. Codelco hasnt yet estimated the costs of this expansion, but the ambitious, high-tech transformation planned for El Teniente suggests that the price tag will be onerous. El Teniente was considered a marvel of advanced mining when it began operations in 1905 under ownership of the Braden Copper Co., founded by William Braden, a young U.S. engineer. Today the mine, which descends to a depth of 3,300 feet, is a man-made wonder. Its underground tunnel network extends 1,428 miles  nearly the distance between New York and Houston. Explosives implanted high above these tunnels send 500-foot columns of copper ore crashing down into giant grinders. The ore is crushed and poured into the wagons of trains circulating through the tunnels. The loads are dumped outside the mine into vats where the ore is concentrated and mixed with water. The slurry then flows through a 53-mile-long concrete canal to a refinery, where it is turned into copper ingots and plates for export, mainly to Asia. A science-fiction-like development of El Teniente by 2016 calls for replicating its entire tunnel network some 2,600 feet below the present contours of the mine, taking advantage of the same copper veins. By then the excavators, grinding equipment and trains will be fully automated and operated from distant control rooms. Copper experts dont doubt Codelcos technological prowess. But given the financial and political handicaps under which it operates, a project like the expansion of El Teniente is very problematic, says Cescos Guajardo. Arellano is urging Congress to approve government-proposed reforms that would remove the two ministers and the military representative from the board and replace them with appointees with strong engineering and managerial experience in copper mining. He also suggests that the tenure of Codelcos board members be extended beyond the Chilean presidents term and that some of them be appointed by a nongovernment commission to ensure a more nonpartisan, professional board. The conservative opposition has stalled these reforms in Congress, however. Opposition politicians, who used to call for a nonpolitical, technocratic board of directors, are instead pressing the government to include representatives from the conservative parties on the board of Codelco. The huge windfall from copper prices has also taken privatization off the table as a possible solution for Codelcos problems. Felipe Larraín, an economist at the Pontificia Universidad Católica de Chile who is on the short list of candidates for Finance minister if conservatives gain power in the 2009 elections, advocates the sale of a 10 percent stake, possibly to the countrys six giant pension fund management companies. Codelco would remain in the hands of the state, but that 10 percent sale could help finance a lot of Codelcos expansion projects, he says. In September the Chilean business lobby group Sociedad de Fomento Fabril called for the sale of as much as 20 percent of Codelco. With major reforms stalled politically, Arellano is doing what he can to make Codelco more transparent. He gives financial analysts a detailed presentation of the companys financial picture every four months rather than merely releasing full-year results, as his predecessors had. He has really opened up a debate on Codelcos strategy, says Leonardo Suárez, a mining industry analyst at LarrainVial, a leading Chilean investment bank. That debate has revealed Codelcos struggle to contain operating costs, which have risen faster than those at private sector mines. Last year it cost Codelco $1.16 to produce a pound of copper; at Antofagasta Minerals, a private company that is the countrys third-largest copper producer, it cost only 75 cents a pound. Part of the differential reflects the fact that Codelcos mines are much older than those in the private sector. Chuquicamata, the worlds largest open-pit copper mine, and El Teniente both date back at least a century. The grade of Codelcos copper ore has declined from 1.76 percent copper content in 1976 to 0.90 percent last year. That means more ore has to be mined and removed  and more excavators and trucks have to be used, says Morales, Codelcos development chief. It also means that energy and equipment costs are rising faster at Codelco than at private sector companies. Manpower was the one area where Codelco had been able to claim some success in containing costs, but that too has changed. Like private sector mining firms, Codelco began in the mid-1990s to hire thousands of contratistas  temporary workers subcontracted by the mining companies from labor-recruitment firms. By the beginning of this year, Codelco had 28,000 contratistas, or twice the number of its permanent employees. Such contract workers earn 30 percent to 40 percent less than their permanent counterparts. Codelco acknowledges it hasnt integrated its contratistas with its permanent work force as well as its competitors have. Private sector mines began life with contratistas and fitted them in more easily than we did at Codelco, says Morales. Marcelo Awad, chief executive officer at Antofagasta Minerals, agrees. Contratistas in the private sector share the same lodging, food, transportation, safety equipment and uniforms as permanent workers, he says. Resentment among Codelco contratistas rose along with copper prices and finally exploded in late June in the violent strike that crimped output at El Teniente and at El Salvador, a smaller mine 650 miles north of the capital. The workers demanded a $4,775 bonus for 2007 but finally settled for the governments offer of $863. The median monthly salary of contratistas at Codelcos largest mines is $1,400. The militancy of the contratistas has hardened attitudes among salaried miners. The 4,500 permanent miners at El Teniente agreed by only a 100-vote margin on October 15 to accept a 3.5 percent increase in salaries, which currently stand at about $2,000 a month, plus a one-time bonus of $14,208 reflecting the sharp rise in copper prices over the past three years. In the past, rising copper wages have led to increased salary demands in other sectors. Chiles bulging export earnings are also putting additional pressure on President Bachelet to match the populist largesse of other Latin American leaders, such as Venezuelas Hugo Chávez. To her credit, Bachelet has stuck to the cautious save-and-invest approach that has guided Chilean economic policy since the mid-1970s. And she has done so at a painful political cost. According to a leading pollster, Adimark, her public support tumbled to 41.5 percent in November from a peak of 59.3 percent in March 2006, when she assumed office. But it will take even more courage and determination to arrest Codelcos spiraling costs and promote reforms that will keep it at the forefront of global mining. Chile is hardly alone in benefiting from the global surge in commodities prices. And as in many resource-rich countries, the government of President Michelle Bachelet has created two so-called sovereign wealth funds to preserve much of its copper windfall gains for the future rather than squander them in a burst of inflationary spending. The Pension Reserve Fund and the Economic and Social Stabilization Fund have grown at a prodigious rate since they were launched in December 2006 and March 2007, respectively. The ESSF took over from the former Copper Stabilization Fund, from which it inherited $2.56 billion. By the end of September 2007, the ESSF had accumulated $11.15 billion and the PRF $1.42 billion. The Finance Ministry projects the two funds will reach a total of $17 billion by the end of 2007. The ESSF accumulates any fiscal surplus exceeding 1 percent of GDP. The PRF  which was created to finance a minimum government pension for retirees who dont receive enough from the privatized pension fund system  collects up to 0.5 percent of annual GDP. Because of soaring mineral prices, copper revenues accounted for 34.2 percent of total government revenue in 2006 and are expected to reach about the same level in 2007. The two funds are broadly modeled after Norways Government Pension Fund, which invests a portion of the countrys oil revenues for current and future generations and has amassed some $328 billion since it was launched in 1990. Policymakers hope that by mopping up excess copper revenues, the funds will help contain inflation and ease upward pressure on the peso. In this way we will contribute to the stability and competitiveness of the economy, says Luis Felipe Céspedes, senior adviser to the Finance Ministry. Officials have their work cut out for them to prevent the economy from overheating. Chiles annual growth rate accelerated to 6.1 percent in the second quarter, compared with 4.0 percent for all of 2006, and the inflation rate spiked to 6.5 percent in October from 2.1 percent a year earlier. Banco Central de Chile has raised its key short-term interest rate by 0.75 percentage points since July, to 5.75 percent. According to the Banking Association, inflation in 2007 is expected to reach 6.5 percent, but no new rise in the central banks interest rate is predicted  though the association is forecasting a 0.5 percent interest rate hike in 2008. But higher interest rates may merely add to upward pressure on the peso, which has risen by 4.9 percent so far this year, to about 507 to the dollar. The central bank is responsible for managing the two funds, and thus far it has adopted a conservative strategy. 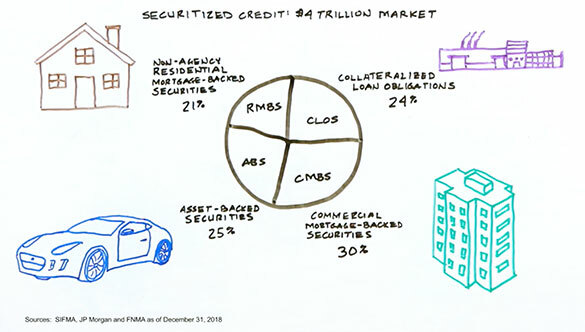 All of the monies are currently invested in fixed-income securities with credit ratings of single-A-minus or better: Some 70 percent is in government bonds, 6 percent in U.S. Treasury bills, 3.5 percent in Treasury Inflation-Protected Securities and the remainder mostly in certificates of deposit. Half of the funds are in dollar-denominated securities, 40 percent in euros and 10 percent in yen. The average duration of the securities is two-and-a-half years, and the portfolios have returned an annualized yield of 5.75 percent since the start of the year. The government plans to eventually diversify the funds into stocks and other financial instruments and to appoint outside managers to run them. In a second stage  and it hasnt been decided when  there will be a bidding process to determine the foreign money managers, says Céspedes.